A lot can change between NLL seasons. Take Roughnecks face-off master Tyler Burton for example: he left with a fiancée, and came to back to Calgary a married man. On Aug. 16 in Playa Del Carmen, Mexico, Burton and his new wife, Erika, tied the knot after two years together. “We had a great celebration,” Burton said with a beaming smile. “We had over 40 guests come with us and it was a great week. That was a big thing for us – it wasn’t just a one day celebration, for us it was an entire week. I got to spend more time with friends and family. The long off-season included some personal growth for Burton, who explained that being a husband has changed his perspective on a few things. “I feel a lot more responsible now, not to say I was an idiot before.” Burton laughed. “But I’m more mature and more responsible now. I also look forward to a lot of things in the future now – I’ll hopefully have a family soon and kids playing lacrosse and that type of stuff. 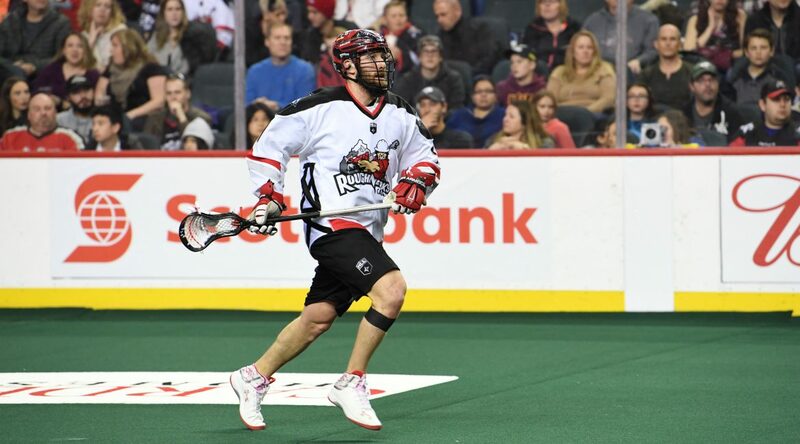 But the honeymoon is now over for Burton, so to speak, as he arrived in Calgary Friday morning to compete for a spot on the Roughnecks roster at this year’s training camp. He expects the battles to be fierce, but that’s a good thing. Burton opted not to play summer ball but that didn’t mean he took it easy during the off-season. “I had the summer off to train, heal up and focus on face-offs,” Burton said. “I watched a lot of film on it which I’ve never done before in the off-season. But a lot of it just comes down to training, watching film and being in the right mindset. I practiced every time I could. With a shortened training camp and pre-season, the team’s quest for an NLL championship in 2019 will begin Dec. 15 at the Scotiabank Saddledome against the Vancouver Warriors. “Yes there is momentum from (last year) for the veterans on the team,” he said. “But it is a new season, it’s a new team, and new blood. We’re you just taking it as lessons learned, everything that went wrong last season we need to fix – it just comes from learning.